IEN Europe: The imperative of climate protection calls for a complete energy transformation and for flexible, digitally integrated energy systems. How does Hannover Messe plan to face this delicate challenge? A. Reich: Hannover Messe focuses on the key topics that link energy and industry: power generation, energy management and mobility solutions. Thanks to its size, diversity and internationality, Hannover Messe’s energy sector brings together not only providers and users of energy products, solutions and services, but also key decision-makers from government and business. Special displays and forums about such topics as integrated energy, decentralized energy supply and hydrogen and fuel cells round out the program. IEN Europe: The use of smart technologies like artificial intelligence, machine learning and virtual and augmented reality is already reality in many fields. Now it’s industry’s turn to get smart. If you had the ‘’Smartometer’’ what would be the smart rate of the industry today and how could it be increased more? A. Reich: For the past several years, Hannover Messe has been tracking the development of smart industry with its lead theme “Integrated Industry”. In fact, the term Industrie 4.0 was coined at Hannover Messe 2011; back then, it was a concept for the digitalization of manufacturing. Today it is reality, with more and more companies embracing digitalization to improve efficiency and maintain competitiveness. The focus today is on areas such as machine learning, augmented and virtual reality, cobots, and platform economies. These technologies are driving the current stage of industrial transformation. IEN Europe: Why is Smart Integration so important nowadays? How can it yield major benefits to industrial companies? 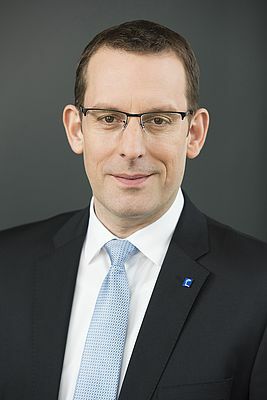 A. Reich: Integration is important because it connects all parties along the value chain, from manufacturers and suppliers to customers and logistics partners. Integration enables real-time access to information, improves efficiency, reduces costs and promotes the development of new business models. IEN Europe: In these years of deep geopolitical changes and social instability all over the world, and also in Europe, why do you think that it’s still important for a company to invest in a trade show such as Hannover Messe? What is the main return of investment that the exhibition can offer? A. Reich: When someone is making large capital investments, they want to see the product and meet the sales representative in person. Companies exhibit at Hannover Messe because it is where they meet qualified potential customers from all over the world. 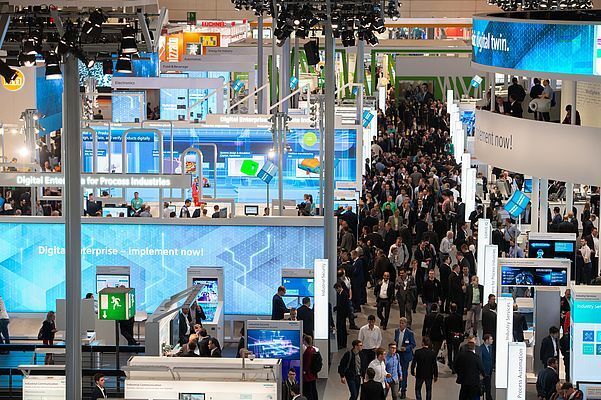 Companies present their complete product portfolio at Hannover Messe, including numerous world premieres, so for visitors it is a one-stop shop for the latest technologies and solutions. During the course of the show, exhibitors demonstrate more than 500 functional examples of Industrie 4.0 and generate roughly 6.5 million business leads. IEN Europe: Imagine to be an important decision maker of a small/medium-sizes enterprise: Which moves are essential to enter the Digital Transformation and where is it possible to find the right support? A. Reich: For companies that want to begin their own digital transformation, Hannover Messe is the perfect place to explore the possibilities. Over five days, the show presents all key topics of industry – from Industrie 4.0, automation and robots to engineering, energy systems and single components – at one place and one time. We expect 6,500 exhibiting companies from 75 countries in 2019. No other event provides access to so many products, solutions and services. IEN Europe: ComVac, the leading international tradeshow for compressed air and vacuum technology that runs with Hannover Messe, is almost completely booked out. Can you explain the reasons of this success? Are there any countries particularly involved in this growth? A. Reich: We expect ComVac to grow 15 percent compared to 2017. Why? Because compressed air and vacuum technology are essential to industry: if they stop working, production stops – just like with a power outage or IT disruption. Furthermore, compressed air and vacuum technology significantly improve energy efficiency. Manufacturers from the sector are also very innovative when it comes to new business models. For example, companies can lease compressors and pay per unit used. Particularly companies from China, Germany and Turkey have contributed to the strong growth of ComVac.